The number of Indian students sent to Basel is approximately 20. Most of them had completed their clinical training of three months. Till date two doctors have been selected for the course Health Care & Management in Tropical Countries and successfully achieved the degree. 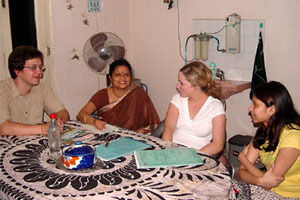 It is a diploma Course conducted by the Swiss Tropical Institute. They had also done the advanced course on District Health Management. All expenses of these exchange students are covered by the societies.